There’s always something to do in Decatur. An easy place to be eco-friendly and green. Downtown Decatur has over 200 shops and restaurants. Walking is celebrated! Festivals are held throughout the year. Winding along Druid Hills Golf Club, Historic Druid Hills has carefully preserved their rich heritage of lovely architecture and lush green space. Druid Hills was selected as our Neighborhood of the Week! The Oak Grove area of Decatur boasts some of Atlanta’s best schools. Oak Grove Elementary and Lakeside High School consistently score at the top of Atlanta Public Schools. Oak Grove was selected as our Neighborhood of the Week! Decatur, Druid Hills and Oak Grove are located on the Northeast side of Atlanta, east of I-85, convenient to Emory University and the Atlanta CDC. Search for homes by school district – go to Advanced Search and search by Elementary School, Middle School or High School. Custom Search: See homes in Decatur, Druid Hills, Oak Grove and Atlanta. Find a home you will love! Create a home wish list and register for my free Home Finder Alert. You will receive an email each time a new home comes on the market that matches what you’re looking for, so you’ll be the first to see new listings! See the sights and sounds of Decatur in this video. Briarcliff Woods – Located along Briarcliff Road between Clairmont Road and Oak Grove Road. Homes are large, brick ranch or traditional 2-story homes primarily built in the 1960s on big lots surrounded by mature trees. View homes for sale in Briarcliff Woods. Chelsea Heights – An established neighborhood of diverse homes with easy access to Emory University and the CDC. The quiet neighborhood contains 1950s and 1960s brick ranches and bungalows as well as newer construction. View homes for sale in Chelsea Heights. Clairemont Estates – View homes for sale in Clairemont Estates. Clairmont Heights – An established neighborhood with stately trees primarily built in the 1950s. The neighborhood is located approximately 2 miles from Emory University and is within walking distance to shopping and restaurants. View homes for sale in Clairmont Heights. Decatur Heights – Built in the 1910s and 1920s, Decatur Heights is located in northeast quadrant of Decatur. The neighborhood is mixed with original small bungalows and newer, larger homes. View homes for sale in Decatur Heights. Diamond Head – View homes for sale in Diamond Head. Druid Hills – Known as one of Atlanta’s first suburbs, Druid Hills is listed on the National Register of Historic Places. 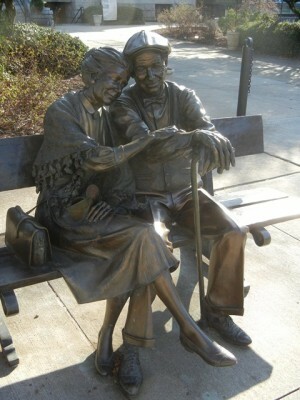 Druid Hills offers beautiful parks, wooded lots, rolling landscapes and eclectic architecture. 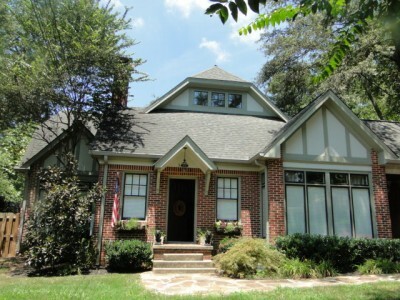 View homes for sale in Druid Hills. Echo Lake – Contains a mix of older ranch-style homes and high-priced new construction. It is conveniently located in the Briarcliff Road/Shallowford Road area. The centerpiece of the neighborhood is Echo Lake. Neighbors love the lake for walking, canoeing and fishing. View homes for sale in Echo Lake. Echo Woods – View homes for sale in Echo Woods. Emory Parc – Built by Monte Hewett, close to Emory and CDC. Newer spacious homes on smaller lots, featuring common areas with a gazebo, walking path, play area and access to Mason Mill Park with a tennis pavilion and dog park. View homes for sale in Emory Parc. Emory Parc Manor – Consists of 81 distinct single family homes designed and built by John Willis Homes and Monte Hewett Homes.Completed in 2005, the neighborhood boasts a central private park, side walks and walking access to the new library, and the Mason Mill Park with a tennis center, dog park, and playground. View homes for sale in Emory Parc Manor. Glenwood Estates – Family friendly neighborhood with tree-line street within walking distance to downtown Decatur. Glenwood Estates has an interior entrance to Glenlake park,which underwent a three million dollar renovation with pool and lighted tennis. Just one of the things that make this neighborhood so special. View homes for sale in Glenwood Estates. Great Lakes – Small town charm with the conveniences of in-town living. Great Lakes is mixed with architectural styles, large trees, and green spaces. It is conveniently located with easy access to I-85 and I-285. It is also close in proximity to Emory University, the CDC, and Dekalb Medical Center. View homes for sale in Great Lakes. Laurelgate – located off LaVista Road in Decatur, the homes in Laurelgate are beautifully spacious with upscale finishes. View homes for sale in Laurelgate. Leafmore – A mix of older homes and new construction on large lots. View homes for sale in Leafmore. Lenox Place – View homes for sale in Lenox Place. Meadowcliff – Located off Briarcliff Road, across from Oak Grove Preserve, Meadowcliff is a mixture of older homes and new construction on large lots. View homes for sale in Meadowcliff. Montcliff – View homes for sale in Montcliff. Oak Grove Estates – View homes for sale in Oak Grove Estates. Oak Grove Preserve – Community of 29 homes off Briarcliff Road in the sought after Oak Grove Elementary School District. It offers a private clubhouse, fitness area, swimming pool and a mulch walking trail. View homes for sale in Oak Grove Preserve. Oakhurst – Located in the Southwest corner of Decatur, Oakhurst has a small-town atmosphere with big-city access, little parks with tall trees and sidewalks throughout the neighborhood. 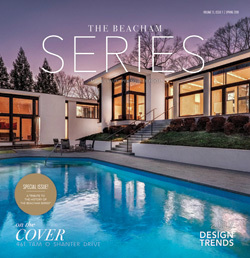 Home styles vary from older bungalows to ranch to newer construction. View homes for sale in Oakhurst. Pangborn Station – View homes for sale in Pangborn Station. Ridgeland Park – Located between North Decatur Rd. and Decatur’s city limits. View homes for sale in Ridgeland Park. Rosewalk – View homes for sale in Rosewalk. Sagamore Hills – View homes for sale in Sagamore Hills. Valhalla – located in the Oak Grove area of Decatur in walking distance to Oak Grove Elementary and Lakeside High School. See homes for sale in Valhalla. Winnona Park – A historic neighborhood consisting of 700 homes located in the Southeast corner of Decatur, close to Agnes Scott College. 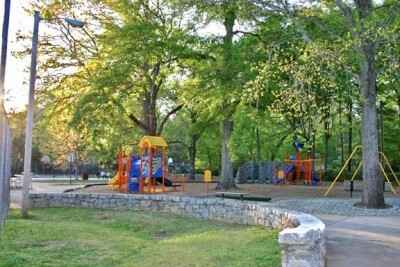 Winnona Park is a short walk to downtown Decatur. Winnona Park was selected as our Neighborhood of the Week! View homes for sale in Winnona Park. 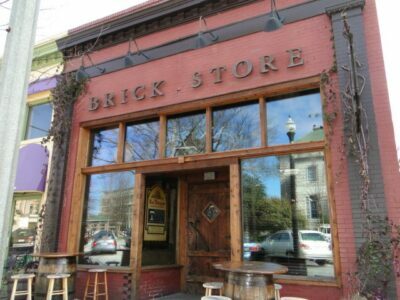 You’ll find more than 200 storefront shops, restaurants, galleries, services and performance venues set along tree-lined streets all around downtown and in Oakhurst village, just south of the square. Choose from the critically acclaimed restaurants and pubs for a romantic dinner or a special night out with friends. From American to Vietnamese, Mexican to French, dessert to after-dinner drinks, you’ll find something for every appetite. Here are a few of my personal favorites: Wahoo! Grill, Brick Store Pub and former gas station Leon’s Full Service. For traditional home-style Indian Cuisine, visit Bhojanic. Art galleries continue to spring up around Decatur, bringing a mix of fine art, shopping and nightlife, with openings, exhibitions, and collectible works for sale in a variety of media. Shopping is an adventure in the charming storefront shops where merchants welcome you with one-of-a-kind finds and personalized service. 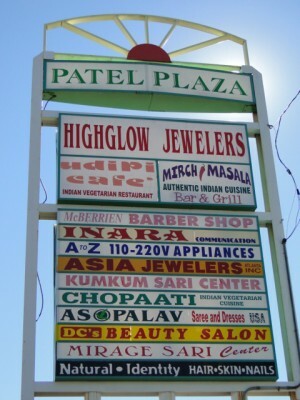 Patel Plaza, located at 1709 Church Street has a wide variety of Indian shops, restaurants and grocery store/farmer’s market. Visit Patel Brothers Indian grocery store and farmers market featuring fresh fruits and vegetables, spices, cafe, Indian fare and specialties, Thali Restaurant, specializing in Indian vegetarian cuisine, Chopaati which specializes in spicy South Indian food, Masala Indian Cuisine, DC’s Beauty Salon, Kum Kum Sari and Mirage Sari Center for the latest Indian fashions in clothing, Highglow Jewelers and more! Music fans will want to check out Eddie’s Attic for live music. Eddie’s Attic has been the spring board for many aspiring songwriters including John Mayer, Sugarland and many more. Eddie’s Attic calendar of artists. If mall shopping is more your style, North Dekalb Mall is conveniently off Lawrenceville Highway in Decatur. With Macy’s, Burlington Coat Factory, K & L Furniture, Ross Dress For Less, Food Court, Applebee’s, AMC-16 Theatres and more than 85 specialty stores, you’ll find most of what you need at North Dekalb Mall. At Dekalb Farmers Market you will discover foods from around the world. The large facility has what seems like miles of fresh produce at bargain prices. Wind in and out of the dry goods aisles while picking up interesting sauces and don’t miss the spices section where you’ll find huge tubs of every seasoning at rock bottom prices. Over at the meat counters you’ll get the freshest cuts of all your favorites along with unique meats you won’t find elsewhere. The seafood selection is vast with several live tanks so you know its fresh! Eat fresh and support local farmers. The Decatur Farmers Market has two locations. 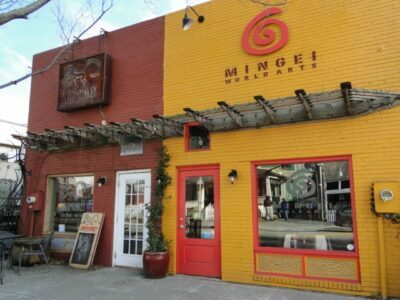 498 N McDonough St location is opened Saturday from 9am-noon, year round. The second location at 163 Clairemont Ave is opened Wednesday year round from 4pm – 7pm (March – Oct) and 3pm – 6pm (Nov – Feb). 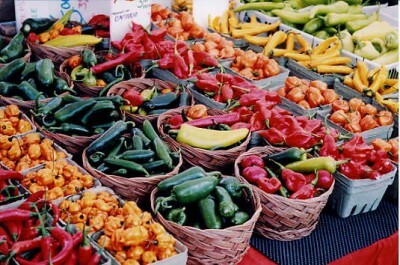 The Emory Farmers Market is held every Tuesday from noon – 5pm year round except during summer and school breaks. It is located at the Cox Hall Bridge on Emory’s main campus (1599 Clifton Road). Also visit the Dekalb Farmers Market located at 3000 E. Ponce De Leon Avenue. 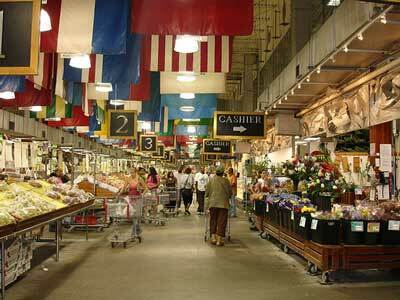 It is open daily and offers produce, meats, spices and breads from around the world. Recycle. City of Decatur offers curbside recycling for residents living inside the city limits. Items accepted are aluminum, glass bottles and jars, plastic containers labeled 1-7, paper products, plastic bags and all cardboard items. Read more about City of Decatur Recycling Program. There are also several City of Decatur drop off locations for various items. For those living outside Decatur’s city limits, DeKalb County offers a voluntary recycling program for a small one time fee. Click here for DeKalb County recycling brochure and application. There are also drop off bins for mixed paper at all DeKalb County Fire Stations and many DeKalb County Public Buildings. Drive less, take MARTA. The Edgewood/Candler Park, East lake and Decatur MARTA rail station are in the areas of Decatur, Druid Hills and Oak Grove. The Edgewood/Candler Park and East Lake stations offer free same day parking and paid extended stay parking. Along with rail stations, there are numerous bus routes that will take you to locations throughout Atlanta and Atlanta suburbs. Check out more initiatives from Decatur’s Environmental Sustainability Board. 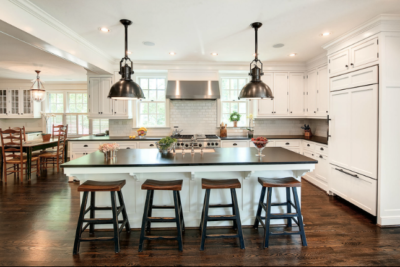 Druid Hills Home Tour – Tour beautiful homes and gardens in the historic Druid Hills area. Held in April. Decatur Arts Festival – Decatur’s biggest arts event kicks off with the unveiling of the official arts festival poster and culminates with the main events on Memorial Day Weekend. Decatur Beach Party – Decatur brings in 60 tons of sand and turns the square into a beach for this annual event. Live music, boardwalk games and more! Held in June. Pied Piper Parade, Concert and Fireworks – July 4th celebration! Decorate your bicycle, skateboard, or wagon and join the Pied Piper Parade as it winds through downtown Decatur. BBQ, Blues and Bluegrass Festival – Live music, including barbecue, vegetarian food, and a special children’s area. Held in September. Decatur Garden Tour – See what’s growing in Decatur’s public and private gardens! Held each September. Atlanta Greek Festival – The Atlanta Greek Festival brings all the aromas, sounds, tastes and traditions of Greece to your doorstep. Held each October at Greek Orthodox Cathedral on Clairmont Road. Oakhurst Arts & Music Festival – Artists market with more than 75 artists, children’s arts activities, literary arts, and musical performances held in October. Great Decatur Beer Tasting Festival – Taste hundreds of the finest local and international beers. Live music, food. Admission includes special tasting glass. Event is held in October. Decatur Wine Tasting Festival – Taste more than a hundred wines from around the world. Live music. Held in November. Decatur Holiday Candlelight Tour of Homes – Tour beautiful Decatur homes during the December holiday season. Christmas at Callonwolde – Every December, Callanwolde Fine Arts Center is transformed into a Christmas wonderland with holiday events for the entire family. Read more about Decatur on our Blog! r Dog Parks – Decatur offers three dog parks for citizens and their dogs to have an opportunity to exercise and socialize. The three dog parks are Adair Dog Park, Glenlake Dog Park and Oakhurst Dog Park. Decatur Parks – The City of Decatur has nearly 57 acres of developed parks available for the enjoyment of residents and visitors. In addition, there are a number of green spaces and neighborhood parks. Don’t miss Glenlake Park which just underwent a three million dollar renovation and includes pool, tennis courts, playground and dog park! Dekalb County Parks & Recreation – The Dekalb County Parks and Recreation Department understands that parks are not only important to the quality of life, but they are also assets that increase DeKalb County’s desirability as a place to live, work and play. Decatur Arts Alliance – A nonprofit partnership of artists, business owners, residents and government dedicated to supporting and enhancing the arts in the city of Decatur. Druid Hills Golf Club – Established in 1912, Druid Hills offers golf, tennis, swimming and fine dining. 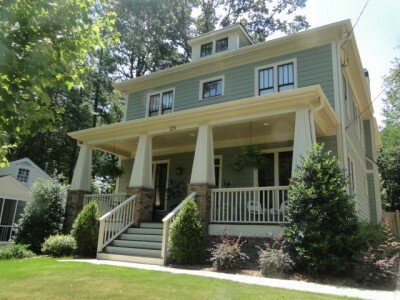 Tucked away in the historic Druid Hills neighborhood, just minutes away from downtown Atlanta. Arts at Emory – The arts programs of Emory bring students, faculty, world-renowned guest artists, and audiences together in a spirit of collaboration and discovery. Lullwater Preserve and Conservation Park – On the grounds of Emory University, the preserve has a duck pond, magnolia tress and a 210-foot suspension bridge over Peachtree Creek. 1463 Clifton Road, Atlanta. MARTA – Atlanta’s public transportation system, including subways and buses, serving the city of Atlanta and Fulton and Dekalb counties. MARTA stands for Metro Atlanta Rapid Transit Authority. Decatur, Druid Hills and Oak Grove offer outstanding academic options for children of all ages. In addition to the following list, you can find out more information about metro Atlanta schools at Great Schools. 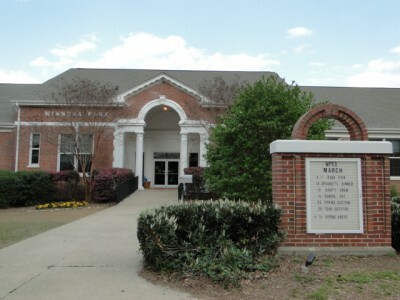 Oak Grove United Methodist Child Development Center offers preschool for infants and children ages 6 weeks to 5 years. 1722 Oak Grove Road, Decatur, GA 30033. (404) 636-5476. Clairemont Elementary School – 155 Erie Avenue, Decatur, GA 30030. (404) 370-4450. Serves 308 students in grades K – 3. Decatur High School – 310 North McDonough Street, Decatur, GA 30030. (404) 370-4420. Enrollment is approximately 750 students in grades 9 through 12. Fernbank Elementary School – 157 Heaton Park Dr NE, Atlanta, GA 30307. (678) 874-9302. IB World School Where everyone teaches and everyone learns! Lakeside High School – 3801 Briarcliff Rd NE, Atlanta, GA 30345. (678) 874-6702. A powerhouse in education and sports! Go Vikings! Oak Grove Elementary School – 857 Oak Grove Rd NE, Atlanta, GA 30345 (678) 874-7402 Consistently rated one of the best elementary schools in DeKalb County. Learn more about Oak Grove Elementary PTA. Sagamore Hills Elementary School – 1865 Alderbrook Road NE, Atlanta, GA 30345. (678) 874-7502. 450 students in grades Pre-K through 5th. Winnona Park Elementary School – 510 Avery Street. Decatur, GA 30030. (404) 370-4490. Serves 317 students in kindergarten through 3rd grade. Agnes Scott College – 141 E. College Avenue, Decatur, GA 30030. (404) 471-6000. Agnes Scott College, founded in 1889, is an independent national liberal arts college on a beautiful lush campus. Cliff Valley School – 2426 Clairmont Road, Atlanta, GA 30329. 164 students is grades PreK through 5th grade. The Paideia School – 1509 Ponce De Leon Avenue, Atlanta, GA 30307. (404) 377-3491. The Paideia School is coed and nonsectarian, serving 929 students in grades PreK-12. More information on Atlanta area Public and Private schools. 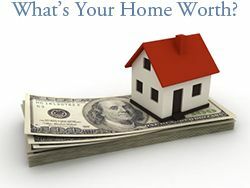 Selling your home in Decatur, Druid Hills or the Oak Grove area? Becky combines traditional real estate methods with state-of-the-art Internet marketing. Each home is unique. Becky will meet with you, listen to your goals and customize a marketing plan for you and your home. When you list your home with Becky, your home will be receive professional staging, top quality photography, virtual tour, a website/URL devoted exclusively to your home, custom designed color brochure, 24 hour buyer hot line, agent-to-agent marketing strategies, consistent feedback from agents and buyers who view your home, top negotiating skills and contract-to-closing expertise. Schedule your Free Home Marketing Analysis.